Abduction. I like to read entertaining mystery novels, especially those that keep me guessing long into the narrative. 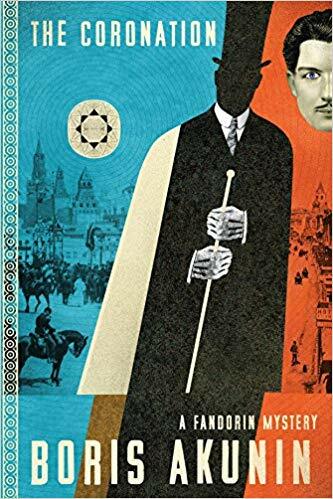 The first novel I’ve read by Boris Akunin is titled, The Coronation, and features a recurring protagonist and private investigator, Erast Petrovich Fandorin. The four-year-old son of a Grand Duke has been abducted shortly before the coronation of Tsar Nicholas II. Ransom requests for royal jewels, including ones that would be visible at the coronation add to the urgency of finding the boy. Fandorin uses great skills at disguise and assimilation with criminals to try to solve the crime. Akunin develops the characters with skill and keeps the plot momentum at a fast pace. Readers who enjoy mysteries, especially in a historical setting, are those most likely to enjoy this novel. Rating: Four-star (I like it) Click here to purchase The Coronation from amazon.com.